Completing your continuing education by May 31st renewal deadline has never been easier. We have compiled the best courses for Pennsylvania Real Estate agents to help you not only renew your license but to learn the latest in real estate market trends so you can be successful. This complete package includes all 14 CE hours for active license renewals. This complete package includes all 11 elective CE hours for first and subsequent Broker active license renewals and second and subsequent Sales active license renewals. It does NOT include the 3-hr. mandatory course. Completion of this residential-based package fulfills the 2014-2016 renewal cycle requirement in Pennsylvania. Fulfill the PA 2014-2016 cycle requirement for real estate CE with this package. Complete the 14-hour continuing education requirement for the Pennsylvania 2014-2016 renewal cycle with this package. 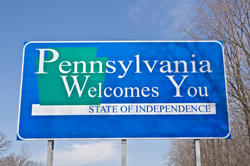 Taking your continuing education for the first time in Pennsylvania? This package will satisfy all requirements in Pennsylvania for your 2014-2016 real estate renewal cycle. This package satisfies the PA real estate 2014-2016 renewal cycle CE requirement for salespersons completing their first renewal. While most real estate agents agree referrals are fundamental to success, the majority of agents are still beating the streets in hopes of attracting business from strangers. The Sphere of Influence approach to building your real estate business is based on nurturing relationships within your circle of friends, family, past clients, neighbors and acquaintances. This course helps you turn your acquaintances into your biggest advocates through respectful, non-intrusive methods. 7 Hour On-Line Elective CE Course: This course analyzes the typical provisions of office, retail, and industrial leases. Formulas used to calculate rent, key negotiation points, and technical issues unique to industrial leases are also covered in great detail. 7 Hour On-Line Elective CE Course: Aspects of the commercial sales transaction and tax deferred exchanges are covered in great detail. You will learn the essential elements of the contract, closing procedures, and documentation in a commercial sale along with the benefits and requirements of a tax deferred exchange. 7 Hour On-Line Elective CE Course: All of the various forms of residential real estate financing; including conventional, FHA, VA Loans, loan assumptions, purchase money mortgages, alternative financing are explained in this course. Also covers legislation relating to financing. Ethics in Real Estate covers the NAR Code of Ethics and reviews case studies pertaining to the code. Sample scenarios are included as a decision making practice for licensees. This course will insure that real estate professionals have a strong understanding of the National Association of Realtors ; (NAR) Code of Ethics and understand the difference between ethical and unethical behavior. This course will take you through all the subjects mandated by your state's Real Estate Commission, and includes instruction in identifying lead hazards in the home, understanding The Lead Based Paint Disclosure Rule, familiarity with sellers and lessors disclosure obligations and the federal pamphlet, "Protect Your Family From Lead in Your Home". This new course is a rich, yet user-friendly high-lite overview of the most important issues with regard to the environment. It covers the concerns of consumers, the latest on radon, radon testing, lead and lead-paint, electro-magnetic fields, and asbestos, and what it means to you, your customers and your work. This course was written to the objectives required by NAR for the Code of Ethics training. At the discretion of your local Board of Realtors, your course completion may also be accepted as credit towards the required Ethics Training. Please contact your Board of Realtors directly and provide them with a copy of your completion certificate along with this course snapshot, to determine if credit will be granted. This course is a new and refreshingly current look at a subject that has been and remains at the top of the list for real estate professionals. It covers the basics of Federal Fair Housing laws, and then cuts right to the chase with practical, real-world situations, challenges and examples. It concludes with clear-cut exegesis on risk reduction in Fair Housing, and how real estate professionals can face the very real challenges of Fair Housing issues in the daily routine of business. This course is a brand new, user-friendly look at the Residential Finance, and can serve as a fresh overview or welcome refresher for any real estate professional who wants to stay current on this foundational subject. Residential Finance includes an introduction to mortgage financing, principles of conventional mortgage, government loans, special programs, and a rich portion focusing on qualifying the buyer and the property. Created and designed as a "survey" course, the scope of this Residential Finance course is not designed to be a training course toward a full-time mortgage-banking career, but rather is expressly geared for real estate salespersons and brokers who want to be current on the principles Residential Finance in their current work environment.